Seeking his first major championship, 2018 Masters winner Patrick Reed found last year that Augusta National Golf Club suited him to a tee. With a 6-0 match play record when he led Augusta State University to back-to-back national championships and a Ryder Cup and Presidents Cup record of 11-6-4, Patrick Reed is known for his match play prowess. At the 82nd Masters Tournament, no one in the 87-player field could match his stroke play, either. It wasn’t for lack of trying, however. Reed, the 36- and 54-hole leader, shot 71 in the final round to finish at 15-under – and hold off furious Sunday charges by a pair of fellow 20-something Americans – to win the 2018 Masters. He finished one stroke ahead of Rickie Fowler, who carded a final round 67, and two shots clear of Jordan Spieth, who posted a blistering 64 on Sunday. 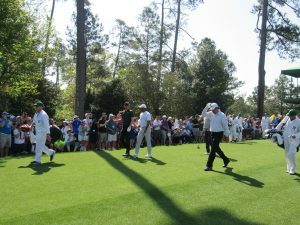 The 2018 Masters was one of the most highly anticipated in recent memory. After all, a healthy Tiger Woods, who has four green jackets, and three-time Masters winner Phil Mickelson, who was back in the winner’s circle for the first time in five years with a March 2018 victory in Mexico, were in fine form. “I think there’s a lot of players, a lot of the top quality players, young and old, that are playing some of their best golf. And I think that’s going to lead to one of the most exciting Masters in years,” said Mickelson. The two former Masters champions teamed up for a practice round on Tuesday with 1992 Masters winner Fred Couples and Belgium’s Thomas Pieters, and the buzz the foursome generated felt like a final round. The galleries ballooned at each hole they played. “It feels like a Sunday, y’all,” said a gallery guard on the 18th hole. Woods and Mickelson were not the only former Masters champions that garnered attention at the tournament last year. 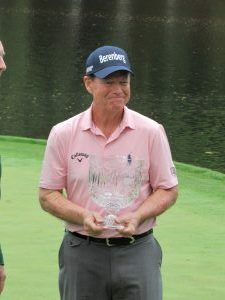 On Wednesday Tom Watson, the 1977 and 1981 Masters champion, became the oldest Par 3 Contest winner at age 68. Winning the tournament tune-up for the second time (he also won it in 1982), he posted a 6-under-par 21 for a one-shot victory. No player has ever won the Par 3 Contest and the Masters Tournament in the same year. 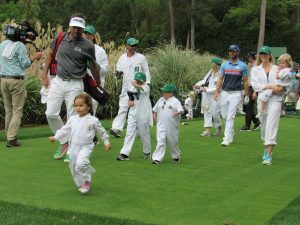 Watson played the Par 3 with Jack Nicklaus and Gary Player, who have won nine green jackets between them, and the group showed that golf is for the young as well as the young at heart. Nicklaus’ caddie and grandson, 15-year-old GT, aced the ninth hole when he hit his grandfather’s tee shot. Two PGA Tour players – Dylan Frittelli and Tony Finau, who were playing in their inaugural Masters – also had holes-in-one during the Par 3. Finau slipped as he ran toward the hole to celebrate, dislocating his ankle, but he still competed in the tournament and finished T10. 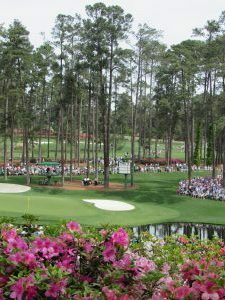 At his Wednesday morning press conference, Fred Ridley, the Masters and Augusta National chairman, revealed that more golfers will play Augusta National for the first time in 2019. He announced the establishment of the Augusta National Women’s Amateur Championship, an annual 54-hole, stroke play tournament that will include an international field of 72 players. 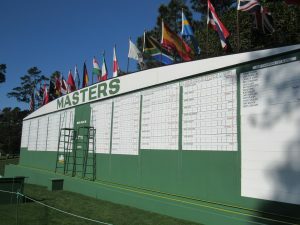 The first two rounds will take place at Champions Retreat Golf Club, and after a cut to the low 30 scores, the final round will take place at Augusta National on Saturday, April 6. “This championship will become an exciting edition to the Masters Week, and it furthers our effort to promote the sport and inspire young women to take up the game,” Ridley said. 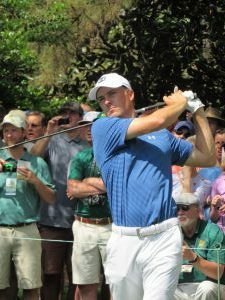 The tournament began with Nicklaus and Player hitting drives off the first tee as honorary starters Thursday, and the day ended with 2015 Masters champion Jordan Spieth atop the leaderboard with a two-shot lead at 6-under-par. “I’ll always have demons out here, but I’ll always have a tremendous amount of confidence out here. Once you win here, you have an advantage over anybody who hasn’t won here,” said Spieth. Reed finished the first round at T4 with a 69. “Any time you shoot anywhere between 2- and 4-under par, especially on an opening round at Augusta, it’s always a great start. . . . It’s definitely a course I feel I can win on,” he said. By the end of the second round, it was Reed who had a two-stroke advantage. Three times during the round he had a trio of consecutive birdies on Nos. 1 -3, 7 – 9 and 13 -15 to shoot 66 – the low round of the day. For the second straight round, he also birdied all four of the par 5s. “To be able to go out and capitalize on those par 5s and to make a lot of birdies there, it kind of allows you to be really aggressive when you feel like you’re really comfortable with a shot,” Reed said. On a dreary, rainy Saturday, when the field had been trimmed to 53 players, Reed shot 67 to finish three shots ahead of the field at 14-under-par. He eagled Nos. 13 and 15 and birdied Nos. 5 and 8 – 10. At 11-under, Rory McIlroy was in second place – setting up a tantalizing final round pairing with Reed. 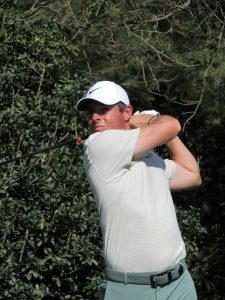 McIlroy could secure a career grand slam with a Masters victory, while Reed was trying to win his first major and become the first player in tournament history to shoot all four rounds in the 60s. The Sunday pairing conjured up memories of the epic singles battle between Reed and McIlroy in the 2016 Ryder Cup that Reed ultimately won, 1-up. However, the competition essentially got underway Saturday night during their post-round interviews when McIlroy and Reed lobbed verbal volleys at each other to dial up the heat. Reed didn’t take the bait that all the pressure was on his shoulders. “I am leading. . . . But at the same time, he’s trying to go for the career grand slam. You can put it either way,” he said. Fowler finished the third round in third place at 9-under. Spieth, who said he would get to play one of his only stress-free rounds ever at the Masters on Sunday, was nine strokes back at T9. The final round showdown between Reed, nicknamed “Captain America” because of his Ryder Cup heroics (he has a 3-0 singles record), and McIlroy turned into a bust as the Northern Irishman ultimately shot 74 behind uneven putting. Instead Reed, who parred all four par 5s on Sunday after playing them in 13-under through the first three rounds, had to fight back surges from two of his Ryder Cup teammates. Reed birdied No. 14 to go to 15-under, and he needed to par the final four holes to fend off Fowler, who was one shot behind after a birdie on No. 18. Reed earned it, all right, with a 5-footer for par on No. 17 and a two-putt on No. 18 to hang on to the lead. His first putt on No. 18 – 24 feet downhill – rolled 4 feet past the hole. He drained the comeback putt, however, to claim the green jacket. “Trying to go win your first major, you know that people are going to make runs, and it’s not going to be easy. You’re going to have to go out and play a good round of golf and shoot under par,” Reed said. After a winless 2017, capturing a major championship was even sweeter for Reed. 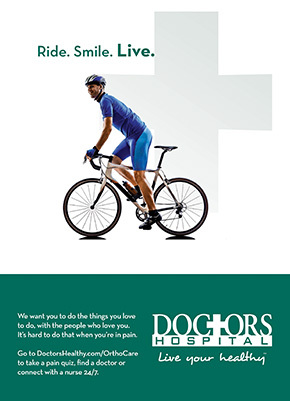 Published on March 27, 2019 in Guide to The Masters and tagged none by Kristy Johnson.